Condor Review - Are You Screening? Condor is a TV series brave enough to ask whether or not a 40-year-old Sydney Pollack/Robert Redford classic should be ten hours longer. Much like Westworld, the answer to that question is a resounding no, unless you’ve got some idea how to mix things up. 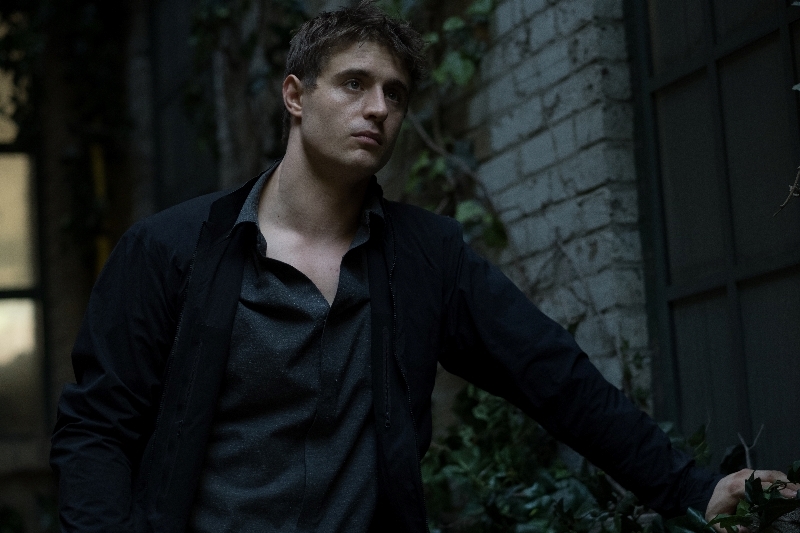 Like the film, Joe Turner (Max Irons), a mid-level CIA analyst, stumbles into the deepest reaches of dark operations, which results in all of his co-workers being killed. Not only is he on the run, but his boss, Bob Partridge (William Hurt), is convinced that someone in the CIA has to be responsible. With no one to trust, Turner is just trying to stay alive long enough to figure out what’s going on, because suddenly there isn’t much that seems to make sense. The series spins several points on the film’s intro over the course of the first few episodes, setting the stage for a much more elaborate machination, while delivering the audience a more intense look at the lives of everyone involved. As this one kicks off, Turner has written a program that helps identify potential terrorists, and when that program picks up on someone who works at a major sports facility and has suddenly received a package at a P.O. box no one knew he had, Turner gets a temporary seat at the big boy table. Though the overall plot remains similar, the progression of events has us paying a lot more attention to Turner’s life, including his friendship with another CIA operative, Sam Barber (Kristoffer Polaha). Once events begin to really get moving and the onion starts to peel away, the series dives into connections and relationships that aren’t part of a movie-length equation. The series relies on Max Irons to deliver a character that couldn’t be more out of his element, and so far it delivers with few hiccups. The genre-defying beauty of the story is that Turner isn’t remotely prepared for life with a target on his back, and really has no training to see him through, but it’s a character that’s hard to sell. Irons, and a surprisingly solid script, give us not only someone just smart enough to fly by the seat of his pants, but someone so lost and desperate that the action becomes impossible to predict because he doesn’t have enough connection to events to even come up with ideas. The show also gives things away pretty quickly, though I won’t spill anything here, and though that is somewhat in keeping with the original story, it seems to suggest there are a lot more secrets and lies in store with this telling. Events hinge upon strange stock market buys from shell corporations, but as soon as Turner voices a vague suspicion that these transactions seem suspicious the show lays it all out for us and reveals the dark side of several characters. There has to be more, but it is wonderfully unsettling for the series to just put things out there and let you play along as Turner and the rest of the CIA work without the information the show has given you. Hurt’s Bob Partridge is so engaging you almost immediately hope for a prequel spin-off taking us through the past events of his life that he describes, and the supporting cast is, mostly, at least deft at keeping up the suspense. Brendan Fraser doesn’t get enough time to sell his abilities, though Bob Balaban has no trouble with his limited screen time. Meanwhile, Leem Lubany, as one of the assassins after Turner, overplays things, though it’s hard to tell if the part isn’t oddly cheesy by design, and Mira Sorvino is nothing short of unwatchable. Unfortunately, almost everything Sorvino does through the first few episodes is opposite Hurt, and this is akin to watching Daniel Day-Lewis read lines with a random passerby. Sorvino aside, few series have managed to pull you into a crazed conspiracy, or this sort of tension generally, as fast. It’s a show that will hook you and as much for the dissection of the players in its weird web (not least Brendan Fraser’s schlub of a project coordinator) as for the unraveling story.